Currently for sale in my Etsy shop! 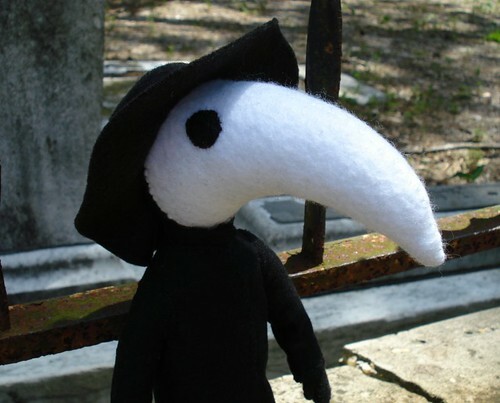 During the Black Death, plague doctors visited victims of the plague to verify whether or not they had been afflicted. Their bird-like masks held herbs and spices, which they believed would purify the air they breathed. The doll is 11 inches tall, and made from felt. His robe is made from cotton and his hat is felt.